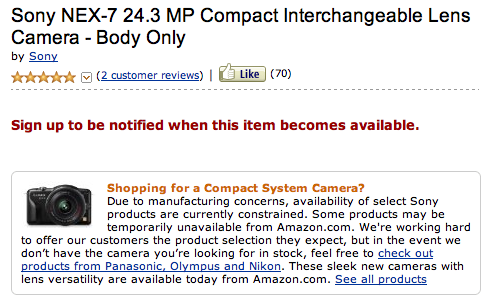 Sony NEX-7 is no longer available on Amazon "due to manufacturing concerns". 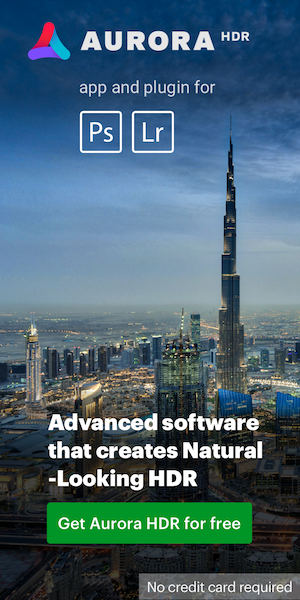 Similar to Nikon, Sony got hit very hard by the flooding in Thailand. Update: the Sony a65 is also removed from Amazon. This entry was posted in Sony and tagged Sony NEX 7. Bookmark the permalink. Trackbacks are closed, but you can post a comment.